Ashley obtained her Bachelor of Science degree in Biology from the University of British Columbia Okanagan and her Masters of Physiotherapy degree from Robert Gordon University in Aberdeen, Scotland. Upon graduation she completed a certificate in personal training and uses her knowledge of abnormal movement patterns, biomechanics and exercise prescription to help patients alleviate pain and injury. Along with this she has a keen interest not only in athletic populations, but also geriatric populations, particularly in falls prevention. Ashley’s outgoing nature allows her to connect with patients and she enjoys working collaboratively to help patients reach their rehabilitation and fitness goals. 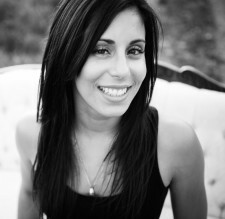 Ashley enjoys playing soccer competitively, running, and being with family.